Palumbo Superyachts sinks its roots in 2008, when the Columbus Yachts brand was established. Three years later, in 2011, Columbus Yachts launched its first superyacht, emblematically christened Prima (‘the First). Currently, Palumbo Superyachts comprises a representative office in Monaco and a logistic network of five shipyards across the Mediterranean (Ancona, Napoli, Malta, Savona and Marseille) operating five world-renowned brands: ISA Yachts, Columbus Yachts, Mondomarine, Extra and Palumbo SY dedicated to refit. 2019 has started off strong with the launch of the new ISA Alloy 45 meters M/Y Agora III, the largest private superyacht to navigate the Japanese waters from the late spring. In the meantime shipyard launched 80 metre M/Y Dragon, the new Columbus’ flagship which is the emblem of Palumbo Superyachts’ vision to invest in the market of super and giga yachts. Hence the desire to develop a new 120 metre model, Columbus Classic, and entrust its naval architecture and exterior lines to Sergio Cutolo of Hydro Tec: elegant and with a timeless aesthetic, it recalls the graceful profile of the turn-of-the-century ocean liners. 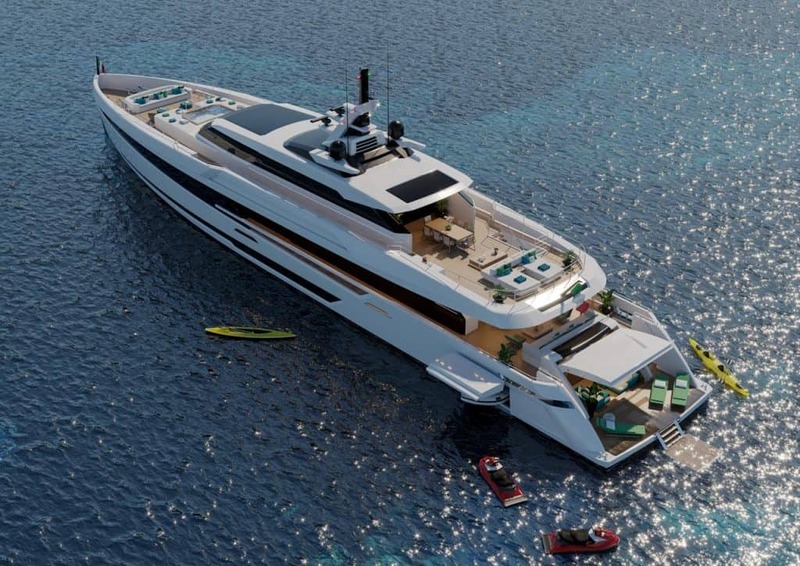 Also due for delivery in spring 2020 and under construction in Ancona, is the new Columbus Sport 50 metres penned by Luca Dini. But this is not all, because by August 2019 will be launched four other units under the brand name ‘Extra Yachts’ (Extra 86, Extra 86 Fast, Extra 93 and Extra Alloy 130), the innovative ISA Yachts’ rib which saw the light last year with the delivery of their first Extra 76. One of the jewels of the crown of Palumbo Superyachts is certainly ISA Yachts, boasting as many as three new models under construction at the Ancona-based yard where they’ll be delivered in 2020: ISA GT 45m, ISA Classic 65m and ISA GT 67m. Marked by sporty and smooth lines, the new 100 metre ISA Crossbow concept has exterior/ interior design and naval architecture by Hydro Tec; captivating, dynamic and contemporary distill the essence of this ISA Yachts sport coupé. Mondomarine, the latest brand acquired by Palumbo Superyachts in 2018, is at full capacity with 11 superyachts in refit from 28 to 58 meters, followed by the Palumbo SY division and by the new Extra 130ft/40 metre Alloy that will touch the water this summer. In terms of projects, in addition to a Mondomarine Classic line, a new Discovery line has been created and the first one to take shape is a 57 metre. This boat encapsulates the distinctive characteristics of Explorer and Shuttle yachts: exceptionally large outdoor spaces and very welcoming interiors so to emphasize the connection between interior and exterior. 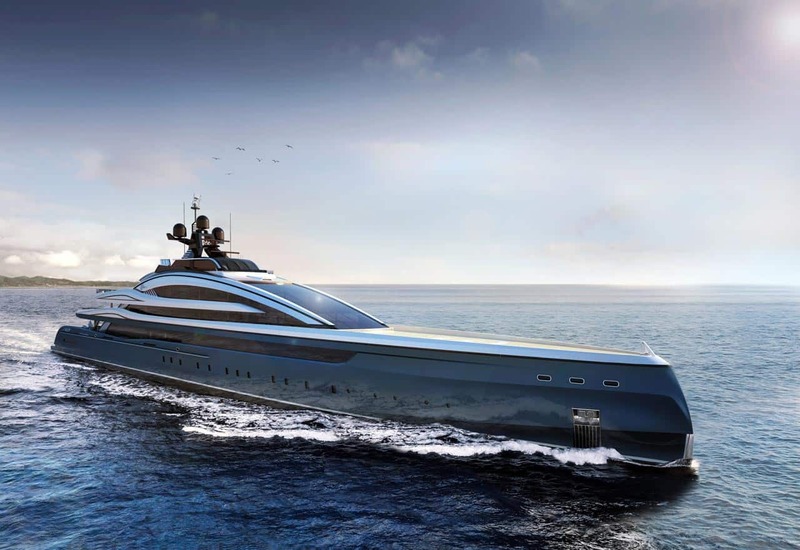 The new line will be integrated with a 40 metre, a 50 metre and a 75 metre version all designed by Luca Dini. Palumbo SY, brand of Palumbo Superyachts, specializes in refit and repairs (painting, carpentry, mechanics, electronics, carpentry, etc.) and currently has 45 megayachts, ranging from 28 to 100 metres, being processed at its shipyards in Ancona, Malta, Naples, Marseille and Savona. With such a diversification combined with the guarantee of the highest quality design, engineering, production and service, as well as 8 new builds and 45 megayacht refitting underway and five shipyards in the Mediterranean, Palumbo Superyachts is confirmed as the only large group capable of providing customers with a 360° experience in fulfilling their dream.